Six international start-ups presented their business solutions at the first annual Demo Day of the accelerator programme the ACCELERATE ME conducted by American Express Middle East in partnership with Nest in Bahrain. The Demo Day follows the eight week ACCELERATE ME programme, which aims at connecting the next generation of startups and newly established SMEs from around the world with Bahrain and the Middle East region in general. ACCELERATE ME start-ups focused on a range of innovative technologies in areas such as delivering differentiated service experiences, automated payment solutions, and alternative physical and digital platforms to drive the move to a cashless society using secured and progressive technologies. “Through this initiative, we are backing new partnerships to be formed, bridging the gap between corporate organisations and the fintech community in Bahrain and the region to enable the move to a cashless society and make a difference in community we live in. “We fully understand the role that new technologies is playing in businesses in the region. Our 2018 Global Business and Spending Outlook report found that, with the rise of the connected customer, executives identified new technology as their number‐one spending priority; where35% of respondents across the region said that mobile technology, for the purpose of delivering new products and unique services, will be one of key areas of focus in 2019. 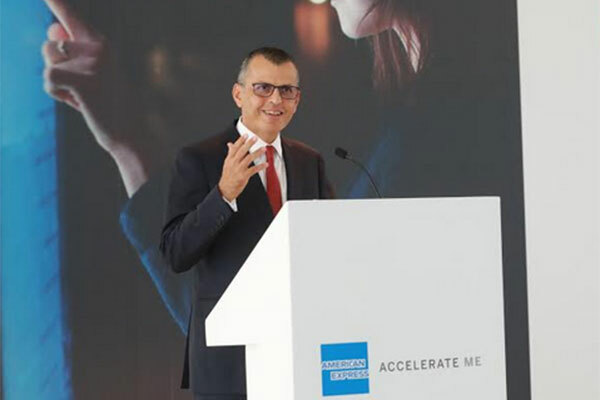 “At American Express Middle East, we will always bring our powerful backing to the powerful new business solutions and ideas for the future – ACCELERATE ME is simply an extension of this philosophy,” he added. • Crayon: Crayon Data's flagship product - Maya - matches customers with personalized offerings using enterprise transactional data and external data sources. Crayon is currently working with clients in the UAE. • FOO: is a digital platform for onboarding / managing merchants, as well as handling cross border remittances & P2P transactions. The startup is introducing an alternative payment acceptance capability platform (QR code, sound-based method, Bluetooth, NFC) for merchants and a mobile wallet solution for customers. • Divido: is a point of sale finance platform that enables merchants to offer their customers the option to spread the cost of purchase. Divido aggregates available credit from various financial institutional partners. • Bloom: is a blockchain based customer identity and credit history system where users maintain full ownership and control of their data, reducing the risks of centralized data collection, storage and transmission. • Beehive: Operates a P2P lending platform for SME's, including term loans, short-term invoice financing etc. It also offers a digital transactional engine and proprietary credit model and is regulated by Dubai Financial Service Authority. • Payment Choice: is a POS solution programme that accepts cross-country prepaid cards and mobile wallets (including Alipay and WeChat Pay) and offers international clearing.